I know I’ve been writing about the YMCA a lot lately (check out these posts for the past two weeks to catch up on the swimming). These days, it seems like the place where it all unfolds. Or maybe I should say unravels. We had our last lesson this week. (Boy, that just flew by, didn’t it Pools?) And I’m proud to say I learned a few things. I learned to put my kids in their swimsuits before we left the house, and make one less trip to the public changing rooms. I learned the vending machine with Doritos does not return dollar bills. This, I learned the hard way. I learned you really can teach a Cariello kid to swim. As we left the vending area this week with orange-stained fingers and soggy t-shirts, I noticed two extremely tall and lean African American kids enter the lobby. They looked to be high-school age, maybe college, and one had a basketball tucked under his arm. s soon as I saw them, a quick “uh-oh” raced through my mind and my stomach tightened. I tried to corral everyone and pick up the pace towards the door to avoid the inevitable. As we passed them Jack bellowed “That man is reallyreallyBLACK!” They both paused for a moment, stunned, and started to laugh awkwardly. I felt my face flush deeply and stammered, trying to explain that he has autism as they walked past me and down the hall. Jack’s loud comment stopped nine-year old Joey his tracks. He looked up at me and whispered “Mom, that isn’t right.” And looking down at my oldest son’s reddened face, I knew I had to try and make it right. Trying to keep my composure, I called the two boys back. They were clearly uncomfortable; we all were. Once again, I explained that Jack has autism and it affects his communication. One of them kept saying “It’s OK, don’t worry, it’s OK” but he wouldn’t meet my eyes. I asked them to step over and say hello to Jack, to introduce themselves. The two boys bent down. One said “Hey Jack! How old are you?” while Henry pestered the other boy for his basketball. Jack asked them how old they were, and their faces lit up as they explained they were seniors in high school and going on to a nearby prep school for basketball training. We learned they come to the YMCA every week to practice together, and they longed to be basketball stars. As we meandered out of the lobby and they held the door for all of us, we learned they grew up two houses away from each other. We learned they were cousins. And what they learned from Jack? I really can’t say, but I hope they could look beyond his rude comment and abrupt tone, past his downturned eyes and pointed finger, to see the little boy underneath. I’m hoping they could see what autism sometimes looks like. Once we were all in the car I started my lecture about keeping your opinions to yourself, how it’s rude to comment on the way someone looks. But I cut it short when the kids started to talk about the cousins. How one was taller than the other, how they wished they could play ball with them. And once again, I learned something: I learned that it only takes a few minutes in the YMCA lobby to make it right. It took just a few short minutes for Jack to learn that people are more than the color of their skin. 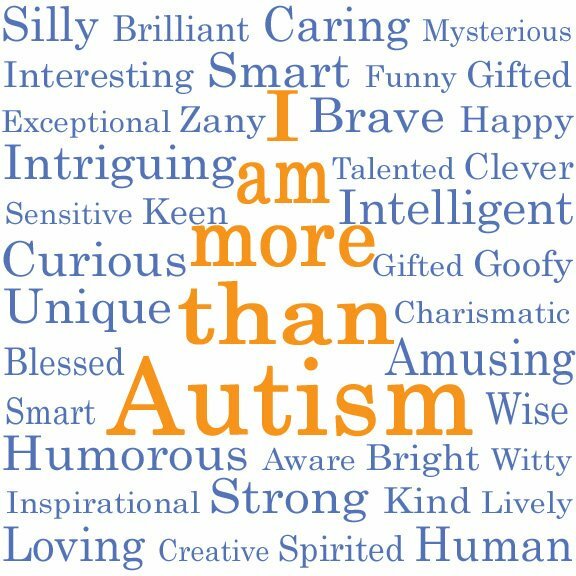 Just as he is more than his autism. This week, I’d like to give the award to two kind basketball players at the YMCA. You’re already stars in our eyes.